Web 2 has opened up several venues for sharing, commenting and blogging on the world wide web. With the boom in internet technology in India and masses gaining access to it on mobile & Ipad other than our computer and laptops has increased visibility of nation to the ocean of knowledge and now we have a choice as to what we want to read and discard. There are various websites running online for social networking, free blogging and others having loads of information which we need as a school student, college goer or working professional. Now the whole world is at our doorstep just at the click of a button and the whole hemisphere unfolds in front of us. 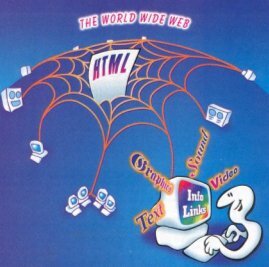 Now the question is how do we brand ourselves on the world wide web. There are many qualified professionals who are unaware of the online market and the need for online visibility. The person who has got a good visibility both online and offline is sure to be a hit rather than someone who has no or minimal visibility in the virtual community. When you become a part of online community people start associating with you and they take interest in you and want to associate with you in the long run. Now the question is how do i increase my visibility online ? Register yourself on Linkedin, Twitter & Facebook and complete your profiles. Please do not leave half filled profiles. I have seen people filling the star marked buttons and leaving the rest. Proper filling up of your profiles will increase your visibility and you will become search able for filled keywords in your profile. Add the needed information. I have seen lots of working professionals leaving their half filled linkedin profiles forgetting to add photographs and other needed information. There is a big need to become technology savvy and spend at least 30 minutes to 1 hour every day understanding the flow of a website so that we become more tech friendly and know how to fill our profiles. Understand one thing, no system is complicated, everything is easy we just need to open up and search for information. Search in Google and you will get all helpful answers. Never leave something saying its not my cup of tea. If its not in your reach you are out of the race and others will take your place. When you register in an online community or other websites which are helpful to you, complete your profile after registering by clicking the edit button so that the left out fields can be filled. Mention the correct email id, address, photographs and personal achievements. This will help others in tracking you when they are in need for you for a work or advice. This will increase your friend circle and help you in doing business through out the world. People who love reading online articles should never forget to comment on the article as this will enhance your visibility. Those who love writing articles but cannot afford a website i would recommend them to register and create free websites with blogspot or word press. These websites are really helpful. If you do not understand the flow no issues. Spend sometime and it will happen that you understand and create a website of your own. All non technical individuals can handle it, its nothing which requires lots of geek information. Just keep on digging deeper for knowledge and everything will be served to you on a platter and a day will come when people will comment about you and your work. Lets do it and increase our visibility on the world wide web and become a champion in the virtual world.